This whole bankster fraud and theft gets even better if the people of this nation understood the real fraud. That real fraud is that the money a bank loans you dose NOT come from it's own vault; that money is created by the borrower at the moment he/she signs the promissory note(alleged loan). The bank now lists that dollar amount on it's books as an asset, (like a checking account depsoit), and on the other side of the ledger lists it as a "liability (the alleged loan they made to you). The so-called borrower now has to pay back that amount plus interest. You, in effect and fact created the very money you borrowed; you actually loaned the bank the money they allege they loaned you. So here's part of the biggest fraud; it is that none of the banks who claimed to have lost all that money due to foreclosures NEVER had a dime of their own money out for those loans. And yet they went to the government and had them pay them with taxpayer funds; many of the same taxpayers who are paying off loans that don't exist. A simple analogy of this fraud is this: I ask you to give me a hundred dollar bill, which you do. You then tell me you need to borrow a hundred dollars; I loan you that hundred dollars, BUT it's your own hundred dollar bill you gave me; I now demand you pay me back that hundred PLUS interest. But I never give you back the hundred bill you gave me. 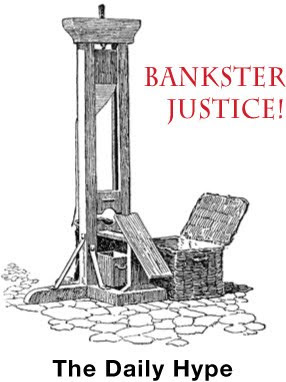 If the stupid fools, AKA voters, ever figured out or learned about this phoney scam they'd hang every banker in the country. And to add insult to injury, the government allows this unlawful practice to continue.